As I'm seriously behind the times and produce my illustrations on paper rather than a computer, I'm faced with the difficult quest for physical storage space. If only it was as simple as buying a new external hard drive. Plan drawers are a dying commodity, so when an enormous set of metal plan drawers comes along, I'll do almost anything to get my hands on it. Luckily there are plenty of strong, helpful people about. 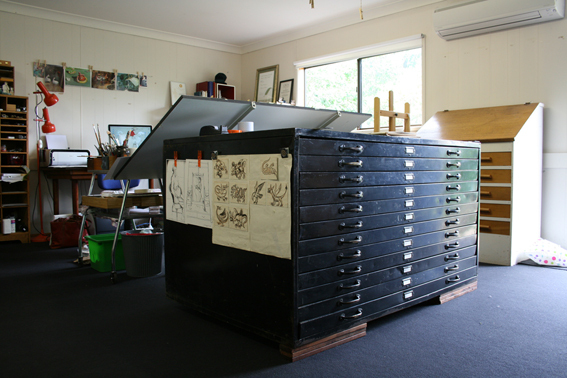 This is my new set of old drawers... in my studio! They have come from my dad's office. 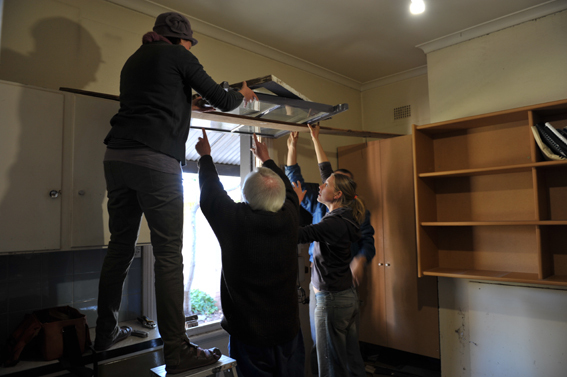 He was so determined to fit them into his office that he took the old sash window out to get them in. (Similar to the story of the dining table which wouldn't fit into the house and had its legs hacked off). 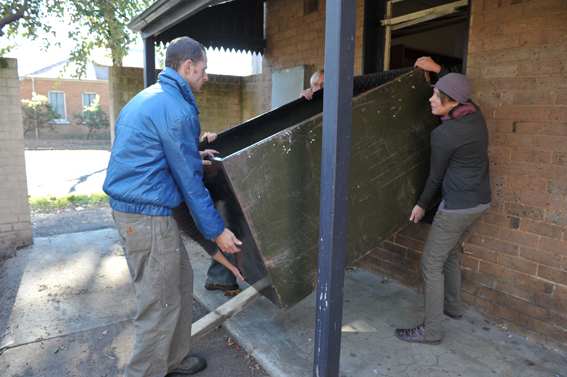 Of course, the metal drawers needed to be removed the very same way and wooah, they were heavy! I'm very happy with my lovely old storage device and the huge horizontal surface it provides me with. Let's see how long it takes to fill it!